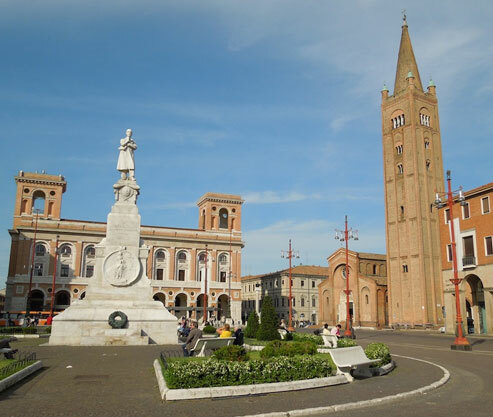 Our Forli Airport car hire deals are inclusive of local taxes and airport surcharge! Hire a car at Forli Airport with us and avail big discounts on the best cars! Working in alliance with the most reliable car suppliers, we offer you the widest range of rental cars from where you can book the best one according to size, style, transmission, and your budget. Along with the best rental cars, we also offer the best prices that will save you a lot of money on your trip. By pre-booking a rental car at Forli Airport, you also get the luxury of saving time since you won’t have to stand in long queues to get your car. The final price you pay online on our website includes all the taxes and insurances, and you even have the option to pay in your local currency, on our payment system that is highly secure. So, rent a car at Forli Airport with us and make your trip better! Forli International Airport, also known as the Luigi Ridolfi Airport, serves the City of Forli. The airport is located about 4 km from the city center. Forli Airport has one terminal, one runway, and handles nearly 300,000 passengers on average yearly. The airport is entirely accessible to passengers with physical disabilities. The main airlines that operate at the Forli Airport are Wizzair and Ryanair. Forli Airport has three aviation universities and training facilities that serve ENAV (air navigation and air traffic control school), ENAC (pilot and cabin crew training), and aircraft certification and maintenance advance training. Since Forli Airport is a small aviation facility, at present, only one ATM and one currency exchange desk is available in the terminal building. Forli Airport provides free Wi-Fi, multiple internet kiosks and public telephones for the convenience of the passengers. Forli Airport car parking can accommodate more than 800 cars, with an option of a long-term parking facility. Forli Airport terminal is home to a few shops that sell gifts and travel necessary items. Europcar, Avis, Hertz, Intercar, Maggiore, Autovia, Sixt, and Thrifty have their service desks in the Arrivals area of Forli Airport.